California will be used integrated as default in the GNOME 3.14 Stack. For now, only calendars from Google Calendar can be imported, and support for Online Accounts that will allow the users to sync the two calendars will be added in the next releases. 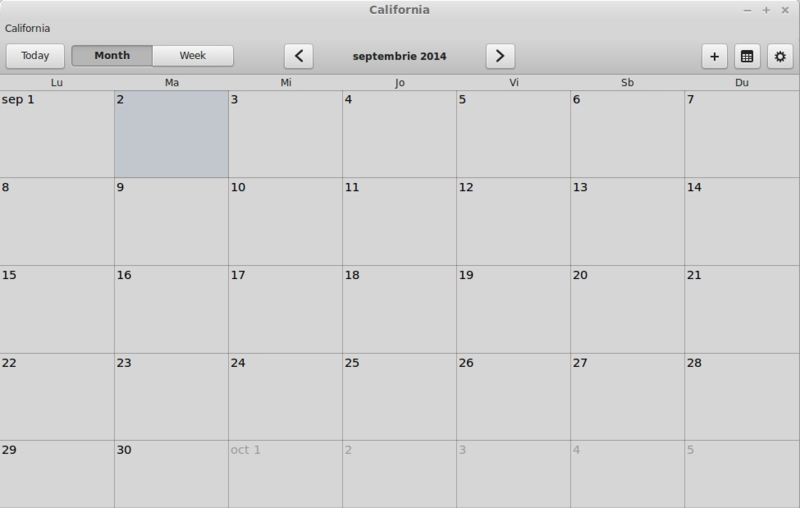 In this article I will show you how to install the California Calendar 0.1.4 on Ubuntu 14.10 Utopic Unicorn, Ubuntu 14.04 Trusty Tahr, Linux Mint 17 Qiana, Pinguy OS 14.04, Elementary OS 0.3 Freya, LXLE 14.04, Peppermint Five, Linux Lite 2.0, Deepin 2014, Fedora 20 and Fedora 21 (rawhide). For Fedora 20 and Fedora 21, California 0.1.4 is available via repository, so installing it on the latest Fedora systems is easy. Follow the instructions for your system exactly, in order to get a successful installation.